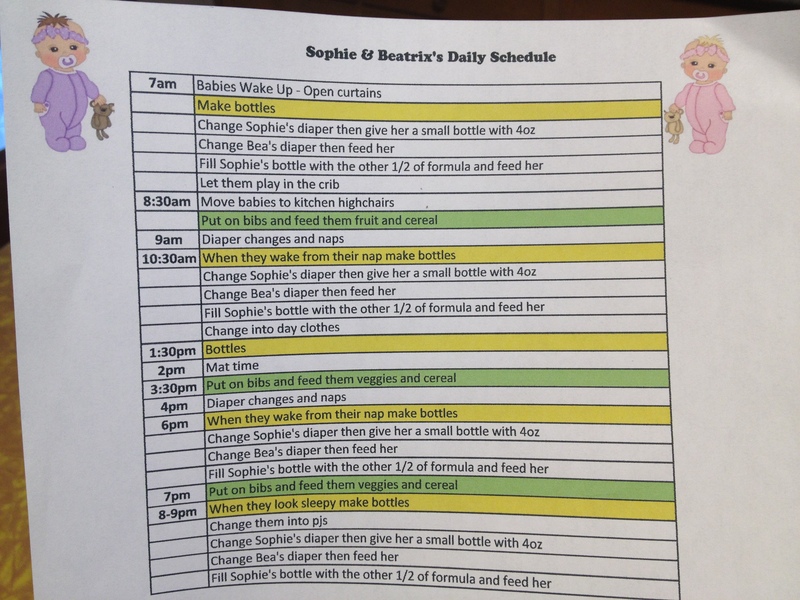 Bunnies To Babies – Page 3 – Constantly evolving…. Ok I’m officially in the depths of the 2WW. It’s 4 days after my 5 day transfer. 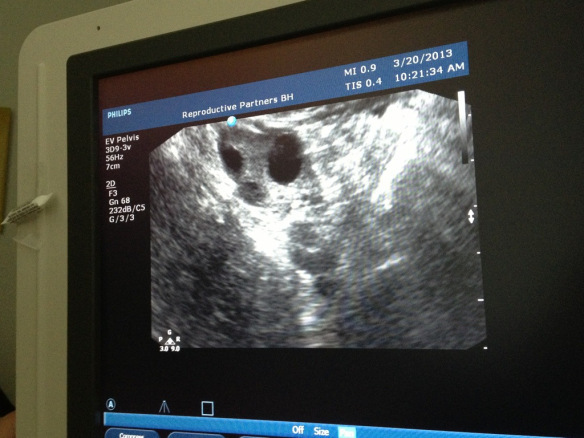 That means if any of our embryos made it they are now 9 days old…I’m starting to obsess…do I feel PMS symptoms? Are those cramps? I haven’t seen implantation bleeding, but did I during my last pregnancy? 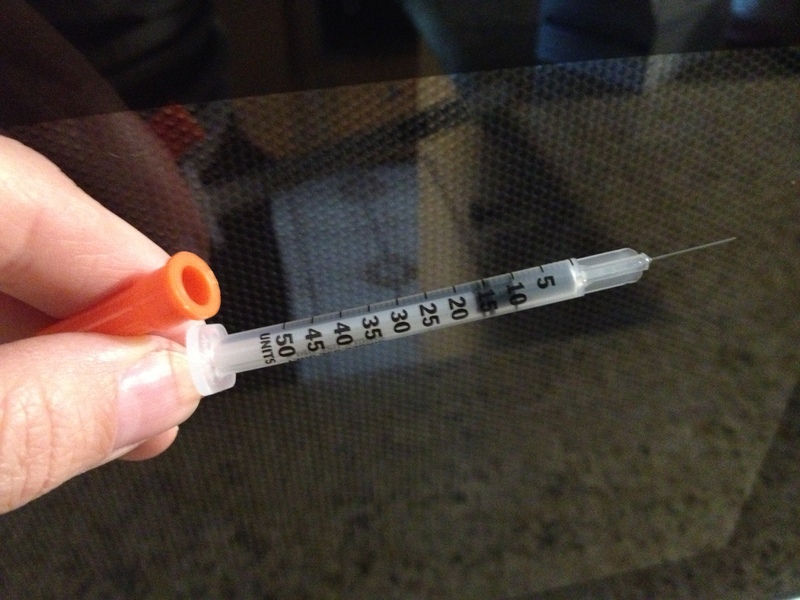 Are my progesterone levels high enough? 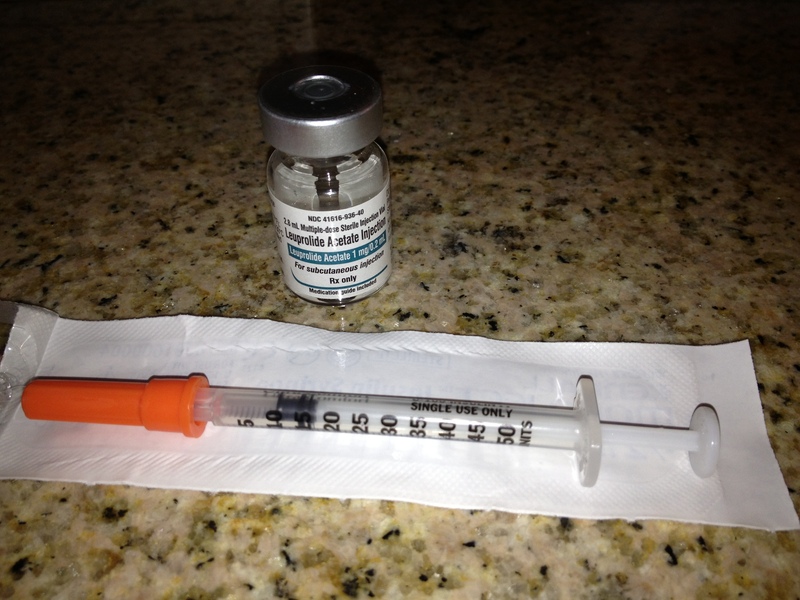 (Last time I used the injections, this time just the suppositories.) I’m craving sweets and my skin is broken out…I think I’m going a bit crazy right now, I need to find a good distraction!!! The office was running late that morning so it was another 30 min before we were able to meet the embryologist and get the full details. She was the same embryologist we had two years ago. Ironically her news was also almost exactly the same. 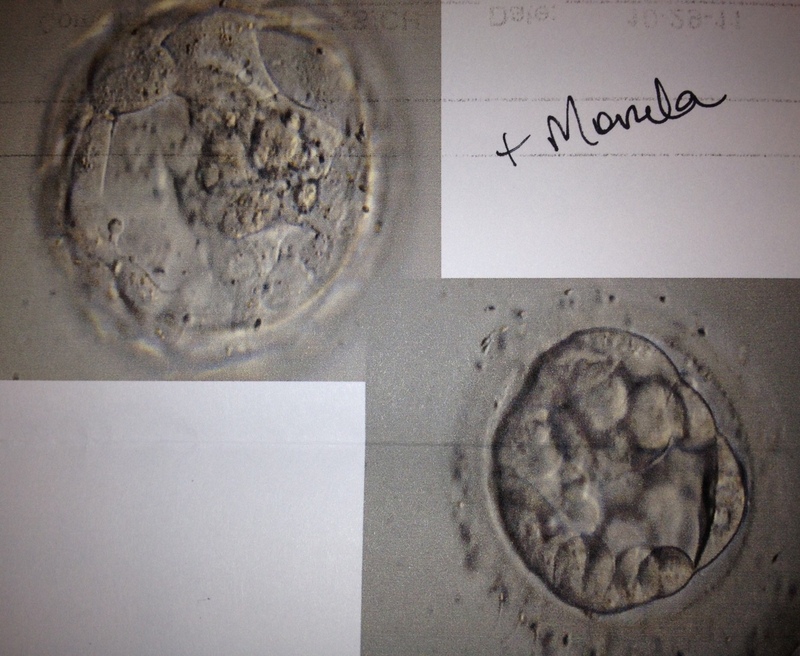 We had one Blastocyst a 2AB, one almost Blast and one Morula. 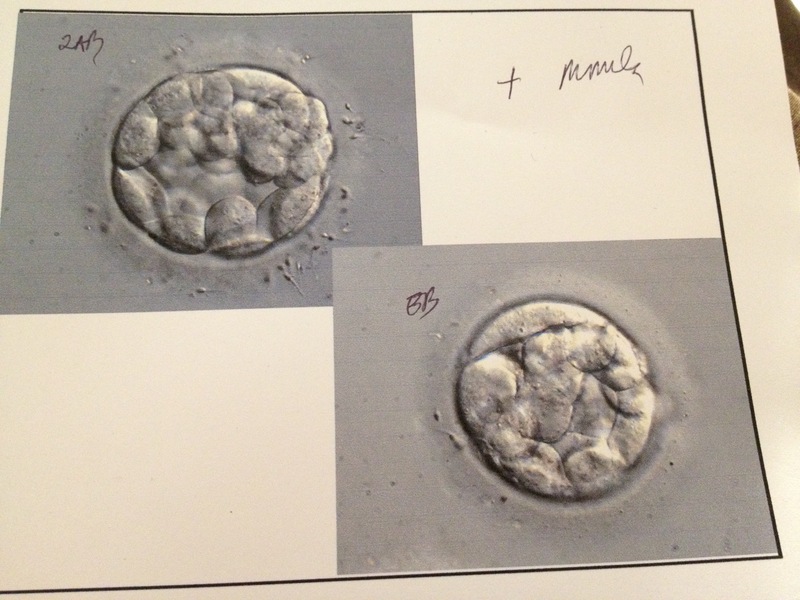 The only difference is last time the Blastocyst was a 4BB. She said its very close to the same. My husband was still concerned about the risk of triplets but my gut was telling me it wouldn’t happen and that we should do exactly what we did last time. The odds of the third one making it to freeze were not likely, (last time I had 2 extras and neither of them did). I felt that the best chance they have to survive was to be put back in my uterus. Since our doctor was running an hour late (LA traffic is the worst) we had plenty of time to discuss our options. In the end we decided to put all three back in. When he finally arrived he didn’t try very hard to convince us otherwise, which I know if it was a big concern he would have. That’s why he initially pushed for day 5. If they were all Blasts it would have been a very different conversation. So Valium in full effect I laid back and watched on the ultrasound as they put our three little embryos into my uterus. The doctor said it was a very smooth procedure and everything looked good. On Monday I had my retrieval. They were able to remove 10 eggs. Last time they only were able to get 6 so we were feeling pretty positive. I was groggy and cramping so that evening I slept away most of the stress while my husband juggled our two little ones. It was hard to sleep that night. My bladder was sore and being crushed by my swollen ovaries and the anxiety of wanting to know what was going on in our petri dishes was almost too much. Around 11am the next morning we got the call. It wasn’t as good as we expected. Out of the 10 only 5 fertilized and 1 of those was abnormal so we were down to 4 embryos. Last time we had 5 on day one. We would not hear anything more until Thursday morning. At this point it could be a day 3 or day 5 transfer. It was going to depend on the quality of the remaining embryos. Fast forward to this morning. We have three 8-cell grade 4 (excellent embryos) and one 4-cell grade 4. This most likely means we are now down to three. That is when it became very tricky. My doctor was pushing to wait until day 5 and to just put in the best 1-2 embryos. Their biggest fear was triplets. The embryologist mentioned though that there was a risk that we might not make it to day 5 and that I am two years older than I was last cycle. The doctor visit today confirmed that I have about 8 good size follicles with the biggest being a 14. That means I will most likely have the retrieval on Monday and the transfer on Saturday. Stopped in for blood-work yesterday so that they could check my estrogen levels. This is to make sure that the dosage of Menupur and Gonal-F are where they should be. Sadly I seem to only have one good vein for drawing and it’s already looking angry 😦 A call later in the day confirmed that everything looks good and to keep my dosages where they are (see below). 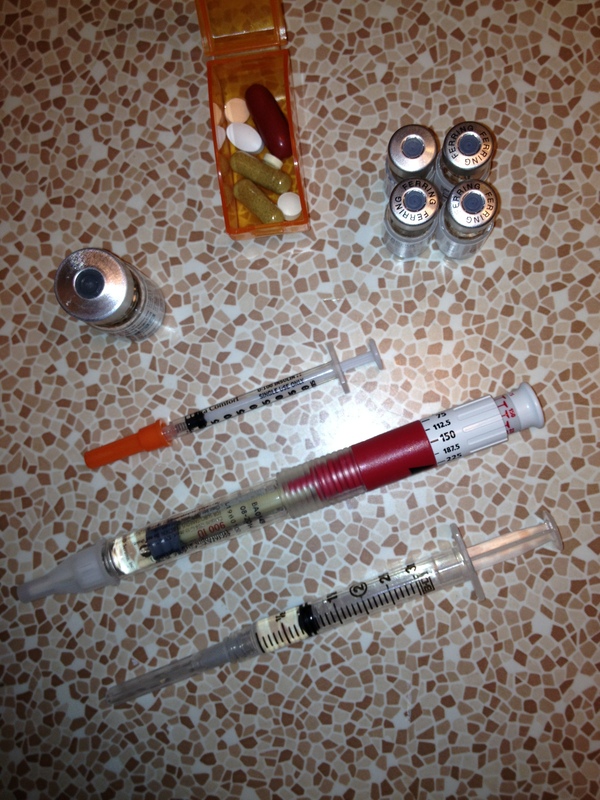 I’m starting to dread the daily shots and pills right now though, good thing it will all be over in about a week. 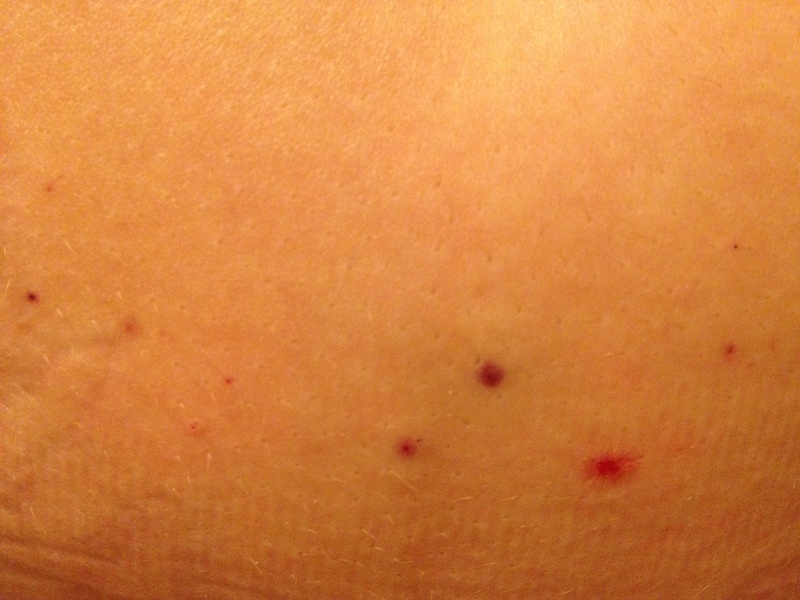 My stomach is starting to look like a pin cushion! It’s all for a good cause though and will be forgotten quickly after it’s all over. I have more blood-work and an ultrasound scheduled for tomorrow. 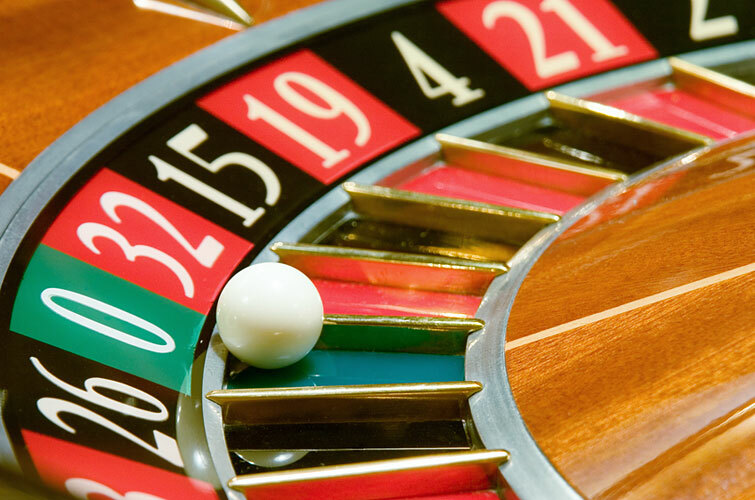 This is when things start to get intense. I’m excited and nervous to see how many follicles are growing this time. I happily talk to anyone that approaches me about the experience now, hoping to repay the favor. I don’t hide the fact that our twins were through medical assistance. I almost feel like it’s my duty to educate people so that there is a greater sense of understanding and compassion to this condition. Infertility has plagued couples since the beginning of time. It should not be something that we hide, feel embarrassed and/or ashamed about. It’s one of the hardest tests and woman and couple can go through, NO ONE should feel alone on this journey! 2. Coffee – I LOVE a good latte and missed it terribly…giving it up really made my skin glow though! 3. Cocktails – I’m a Gin Martini Dry Up With Extra Olives Girl (Hendricks Gin and Blue Cheese stuffed olives are my favorite) I had no idea how much I would miss one of these! 4. Hair Dye – Yes…I am getting to the age that I need to start covering up grays and without being able to do this I had to come up with some strategic hairstyles and welcomed the idea of hats. 5. Sushi – It’s tasty and usually very healthy, I craved it for most of the pregnancy. 8. Cold Medicines – I don’t like taking these but it was horrible suffering through a cold without them! 10. Fancy Cheeses – There is nothing like a good triple cream brie! 11. Soft boiled eggs – It was a Sunday brunch tradition. 12. Salicylic Acid – It’s the only acne medicine that ever worked for me! 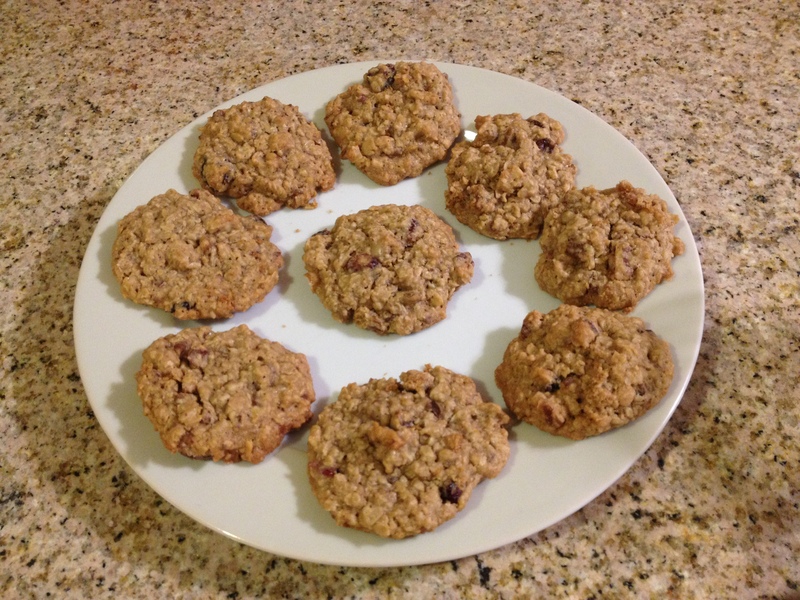 Below are some cranberry, pecan oatmeal cookies I made tonight since I was craving something sweet and I can not satisfy my chocolate urges right now…They turned out pretty tasty! The doctor said that it looks like I may have about 10 follicles right now and my uterus looks good so we can proceed on to the next step. I was scheduled to start Leuprolide today so after the procedure I was instructed on how to give myself the injections and did the first one in the office, luckily this is one of the least painful shots due to a short tiny needle, I wish all shots were like this!